Yannis Ioannidis (PhD, UC Berkeley, 1986 – MSc, Harvard University, 1983 – Diploma, National Tehcnical University of Athens, 1982) is the President & General Director of the "ATHENA" Research and Innovation Center and a Professor at the Department of Informatics and Telecommunications of the University of Athens. His research work focuses on data and information management systems (especially complex search and query processing & optimization), data infrastructures and digital libraries & repositories, scientific data management, and personalization & adaptation in information systems, topics on which he has published over 150 articles in leading journals and conferences and holds three patents. 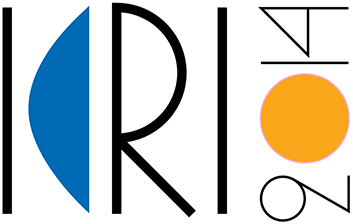 He is the overall (co-)coordinator of several European and national projects, including OpenAIRE, which is the research infrastructure that implements the European policy for open access to research publications and explores the same for research data. His team is also participating in several additional European projects on the management of research data or other digital content generated in diverse scientific fields (earth science, space science, marine science, biodiversity, biology, energy, social sciences, and cultural heritage), both in the context of Research Infrastructures and other environments. These projects include the FET Flagship Human Brain Project, MD-Paedigree, Optique, iMarine, eCultValue, iCordi, CHESS, EarthServer, ESPAS, EFG1914, INTERACT, MERMAID, and others. 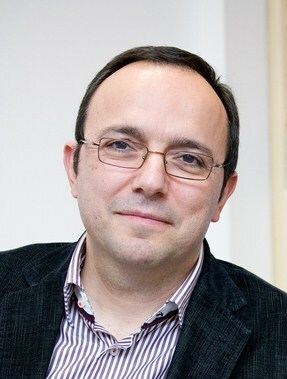 Yannis Ioannidis is an ACM and IEEE Fellow, a member of Academia Europaea, and the recipient of several research and teaching awards. He has just finished serving as the ACM SIGMOD Chair and as the Greek National Representative for the FP7 "Research Infrastructures" Program Committee of the EC. He is a member of the ESFRI Forum (European Strategic Forum on Research Infrastructures) and a co-chair of the 2014 International Conference on Research Infrastructures (ICRI), being held in Athens under the Greek Presidency.